Includes: Carcasses, 18mm High Gloss Doors, Shelves, Bar Handles, Adjustable Metal Hinges, Adjustable Legs and fixtures. Ultra Modern Super High Gloss Doors with Brushed Steel Bar Handles. 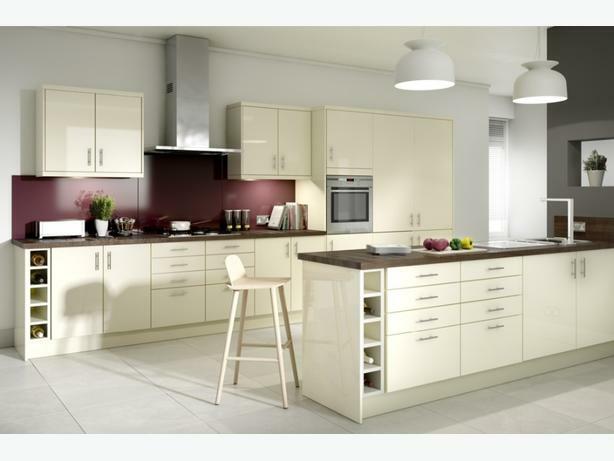 With clean lines giving a warm contemporary look this kitchen would be a beautiful addition to any home. * High Quality Units - 5 Year Guarantee! * MFC cabinet Creates a strong, rigid unit with a clean white interior. Please Call 07977 277000 or 0121 517000 Now For More Information.